About the Author - The Ten Year Career"The Fast Track Guide to Retiring Young, Wealthy, and Fulfilled"
Dave M. Lukas is a modern day “Renaissance Man.” Recently turned 31, Dave has been able to accomplish an incredible amount in his life. Whether it is traveling to remote corners of the world, being invited to work with thought leaders such as Brian Tracy, Tony Robbins, Zig Ziglar, and many others, speaking to Fortune 500 companies and Universities, developing his own companies, and investing in real estate and the stock market, there is little that Dave has not accomplished. He has been published in numerous publications, including Forbes online, and is known for his no-nonsense, common sense approach. He founded his first business at a very young age (5 years old!) and continued to develop successful businesses through college. Dave then took that early success to a national F500 company where he earned recognition as Rookie of the Year, Sales Consultant of the Year, Top 25 Producer (out of 1500 sales reps). He became an accomplished management professional and built numerous top performing organizations. Today, through his consulting firm LCS Group, Dave consults with companies at all stages of growth, often taking ownership positions, which allows him to have maximum personal impact on strategic growth targets. As Vice President and co-owner of Grasp Technologies, for example, Dave and his team have architected an average of 80% growth every year for each of the last 6 years. Dave is also very involved in internet business and start ups, and is an accomplished investor in real estate and stock investing. 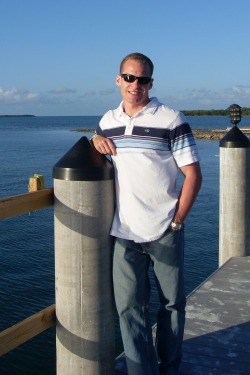 He is a member of the Trading Concepts team, a premier trading and investing education company. He speaks to companies, organizations, and universities on the mindset of success and the everyday principles of The Ten Year Career. Through all this, he feels most at home when he is helping someone learn a new trait or skill, or reach new levels in their life. Helping others reach their true potential is a passion for him. Dave is also involved with several non-profit organizations. Dave’s hope is that The Ten Year Career will help others find their path to success and create the life of their hopes and dreams.